Web Development and Mobile App development to perfection. Want to develop an application using open source or custom CMS, our expert team members are fully equipped with skills to complete your apps in no time. Complete wordpress services, from theme, plugin development to security, updates, changes and management of the CMS. We can maintian and seure your WP site. Are you looking for magento, joomla, drupal, prestashop, shopify developers who can develop and take care of your site, we are the one. Start your E-commerce website in the best suitable CMS that suits your budget, products and industry. We are experieinced in woocommerce, shopify, prestashop, magento, bigcommerce and more. If you want to develop a Custom application for your business like CRM, Accounting, Chat, Internal communication, intranet, File sharing, Invoicing, Social Media tools, Email Apps, Support App and more, then call us. Our development team members are experienced in Native and Hybrid app (ionic and phonegap) programming. Aapta is what you need for design, development and testing of your mobile apps. Do you already have a web application that needs to be secured so that no hackers can hack in to your app and steal data. Then we can secure it for you, be it PHP application or opensource CMS application like wordpress or joomla. Want us to do penetration testing for your mobile or web application so that you are sure of everything before launch. Then no look further our team can help you with testing and reporting each and every bug on your application. Every application that we develop is safe and secure as we test every application before delivery. Our process includes 11 tests including penetration testing. Our coding standards are best in industry, we follow every best practise set by frameworks and open source CMS’s. Every application is tested by 2 teams before delivery. We deliver your projects in timely manner as proposed in project proposals. Our mission is to deliver every project in time with high quality standards. We are the best in web security, safe guard your website from online hackers through custom web security and backup solutions developed in house. Malware scans, Bruteforce attacks and many other online threats can be reduced using our solutions. 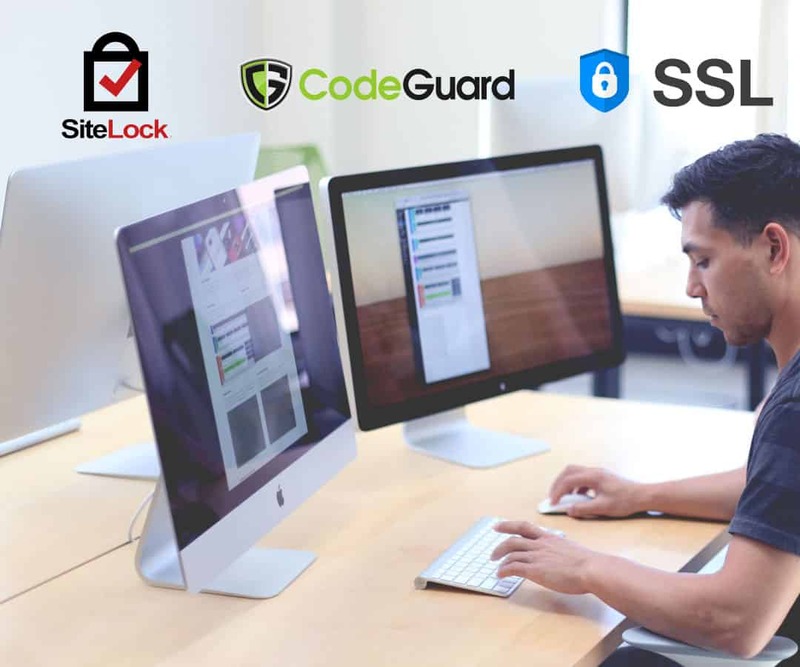 We also offer SiteLock and Codeguard services at discounted prices. Also get Single domain, Multi Domain or Even extended validation SSL certificates at cheaper costs than market price. We guarantee cheapest price in market. We are best in securing your website and providing backup solutions for our CMS or web application. Safe Guard your website from online threats. Do you want some simple mobile applications developed in native or hybrid environment then call us for best solution. For every wordpress hosting purchased at www.aaptahosting.com – we provide Free SSL, Free Complete Security Solutions and Free Backup Solution. For Details chat with our sales. Client Portal & Process Workflow. We dedicate a client portal for every development project, with which client can track the progress and different workflows involved in the project and also access other information like Invoices, contract and designs from one single page. Every project we develop has a unique workflow process, which can ease the process of developing complex projects in easy to understand ways for our developers and also easy to process and track for clients. Initial Discussions about your project. We offer client portal for every client’s project. UI / UX or website design along with application development. Delivery of the project along with backup data and other resources. Hire us to develop your next web application, we are sure that our team of experts would be perfect for your next web application.